Dodge, Grenville M., 1831-1916 -- Correspondence. N.E. 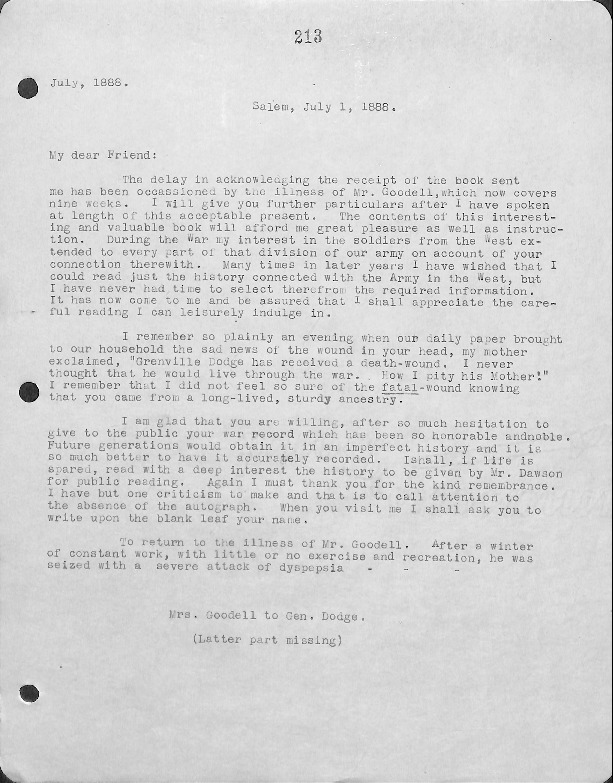 Dawson to W.H.M. Byers on G.M Dodge. 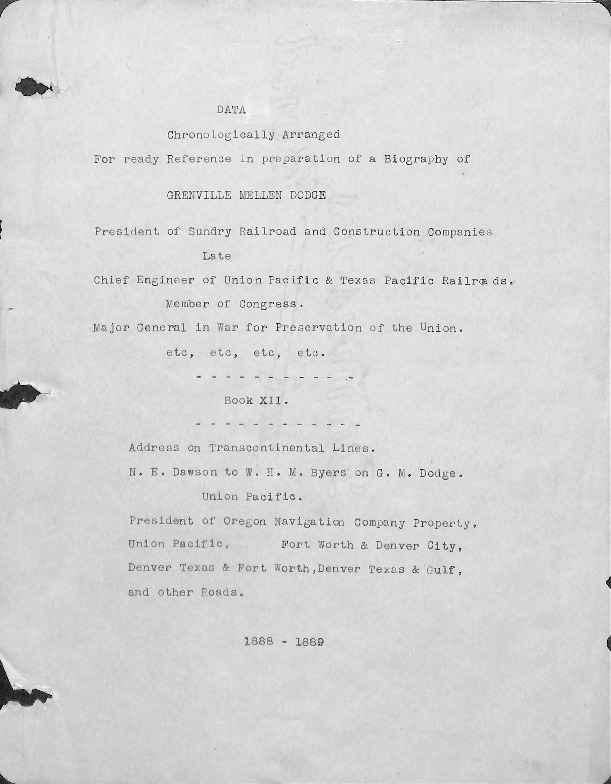 President of Oregon Navigation Company Property. Fort Worth & Denver City, Denver Texas & Fort Worth, Denver Texas & Gulf, and other roads. 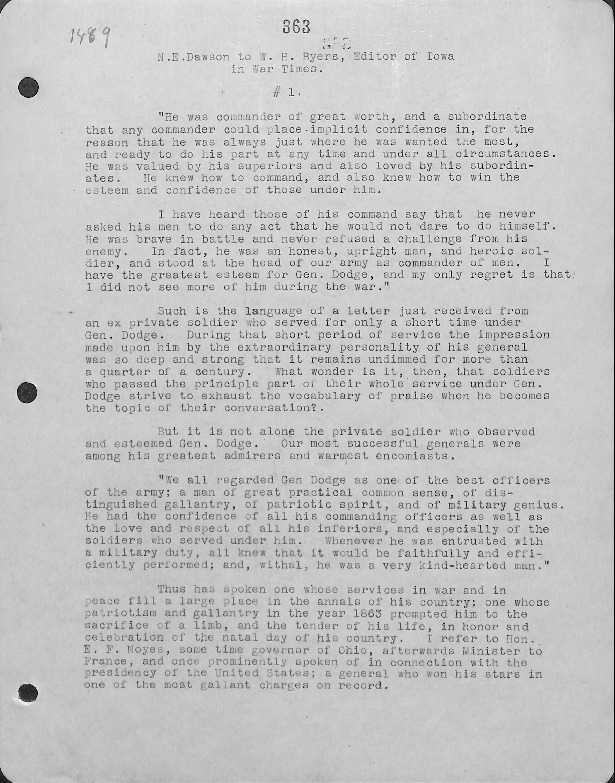 Dodge, Grenville M., 1831-1916, “General Dodge Papers - Book XII part 1,” Council Bluffs Public Library, accessed April 21, 2019, https://www.councilbluffslibrary.org/archive/items/show/4654.